You'll explore the less-touristy side of things at Punta Sur and Captain Dulche's Museum. Get some cultural insight at Guadalupe Chapel and PARROQUIA INMACULADA CONCEPCIÓN. There's much more to do: enjoy the sand and surf at Playa Norte, get up close to creatures of the deep with a dolphin and whale watching tour, look for gifts at Galeria de Arte Mexicano, and get some thrills on the water with a speed boat tour. For maps, other places to visit, ratings, and other tourist information, you can read our Isla Mujeres online journey maker . Rio de Janeiro, Brazil to Isla Mujeres is an approximately 13-hour combination of flight and ferry. The time zone difference when traveling from Rio de Janeiro to Isla Mujeres is minus 2 hours. 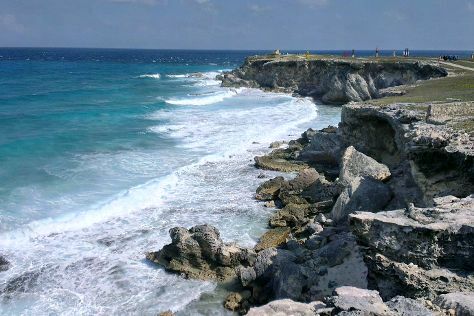 In April, daytime highs in Isla Mujeres are 34°C, while nighttime lows are 27°C. Wrap up your sightseeing on the 14th (Sun) to allow time to travel to Cozumel. You'll discover tucked-away gems like Palancar Reef and Punta Sur Eco Beach Park. 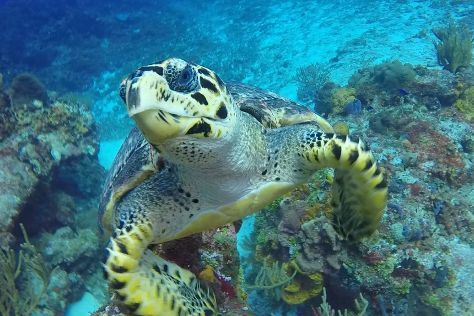 There's still lots to do: cast your line with a fishing tour, contemplate in the serene atmosphere at Chabad of Cozumel, partake in some friendly competition at The Amazing Cozumel Race, and discover the deep blue sea with a scuba or snorkeling tour. For maps, photos, and tourist information, you can read our Cozumel itinerary planner . Traveling by combination of ferry and flight from Isla Mujeres to Cozumel takes 3 hours. Alternatively, you can do a combination of ferry and bus. Expect a daytime high around 33°C in April, and nighttime lows around 24°C. Wrap up your sightseeing on the 20th (Sat) early enough to travel to Tulum. Your inner history buff will appreciate Tulum Archaeological Site and Cobá Zona Arqueológica Cobá. You'll get in some beach time at La Playa Xpuha and Paradise Beach. 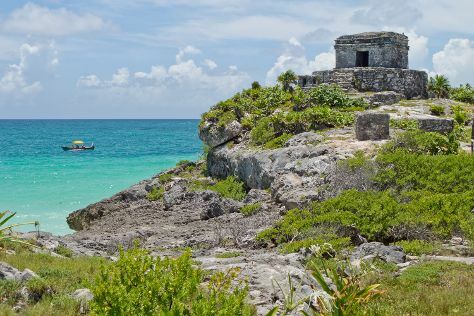 Explore the numerous day-trip ideas around Tulum: Zona Arqueologica de Muyil (in Chunyaxche) and Playa del Carmen (Xcaret Park & Fishing Charters & Tours). Plan for a day of cool, family-friendly fun on the 22nd (Mon) at Xel-Ha. There's lots more to do: Head underground at Gran Cenote, view the masterpieces at MiNiAtUrE art Gallery, get outside with Cenote Tak Be Ha, and shop like a local with Balam Art On Feathers. For maps, where to stay, other places to visit, and tourist information, use the Tulum online road trip planner . Traveling by combination of ferry and bus from Cozumel to Tulum takes 2.5 hours. Expect a daytime high around 33°C in April, and nighttime lows around 24°C. Finish your sightseeing early on the 26th (Fri) to allow enough time to drive to Temozon. Temozón Municipality is one of the 106 subdivisions of the State of Yucatán in Mexico. Casa de los Venados and Museo de Ropa Etnica de Mexico -- MUREM will appeal to museum buffs. 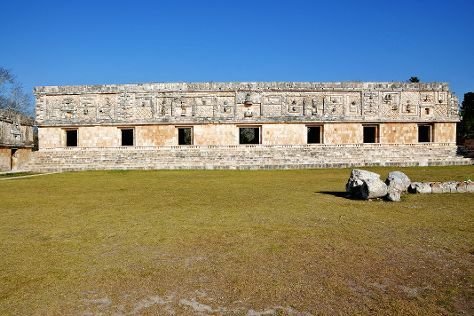 Get some cultural insight at Ek Balam and Temple of the Bearded Man. Change things up with these side-trips from Temozon: Santuario de los Santos Reyes (in Tizimin), Chichen Itza (La Iglesia, Plataforma de Venus, & more) and Iglesia de San Jose (in Espita). There's much more to do: delve into the distant past at Ek Balam, contemplate in the serene atmosphere at Convent of San Bernardino of Siena, examine the collection at Cenote Hubiku, and take in the architecture and atmosphere at Templo y Ex Convento de Santiago Domingo. To find reviews, photos, and other tourist information, read our Temozon road trip planning website . You can drive from Tulum to Temozon in 2 hours. Prepare for a bit warmer weather when traveling from Tulum in April: high temperatures in Temozon hover around 39°C and lows are around 30°C. Wrap up your sightseeing on the 30th (Tue) early enough to travel to Mahahual. A growingly popular destination on Mexico's Caribbean coast, for most of its history Mahahual remained a tiny fishing village well off the beaten path. Zona Arqueologica De Chaachoben and Museo de la Ciudad are good opportunities to explore the local culture. You'll explore the less-touristy side of things at Maya Chan Beach and Scuba & Snorkeling. Venture out of the city with trips to Parque Nacional de Arrecifes (in Xcalak) and Kohunlich (in Chetumal). Plan for a day of cool, family-friendly fun on the 5th (Sun) at Maya, Lost Mayan Kingdom. There's lots more to do: relax and rejuvenate at some of the best spas, look for gifts at Colleen's Magnetic Jewelry, and make a trip to Malecon. To find more things to do, ratings, reviews, and other tourist information, read Mahahual road trip planner . Getting from Temozon to Mahahual by car takes about 4 hours. Expect a daytime high around 39°C in April, and nighttime lows around 28°C. Finish up your sightseeing early on the 5th (Sun) so you can travel to Uxmal. Uxmal and EcoMuseo del Cacao are good opportunities to explore the local culture. 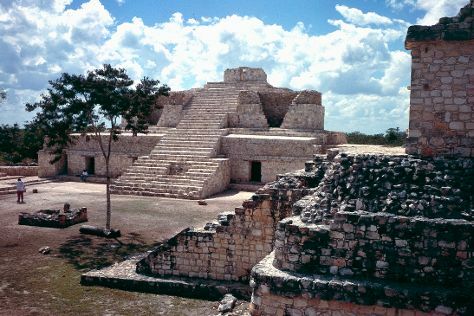 Zona Arqueologica de Oxkintok and Kabah will appeal to history buffs. Venture out of the city with trips to Museo Becal (in Campeche), Iglesia San Antonio De Padua (in Ticul) and Chacmultun (in Tekax). To see where to stay, reviews, other places to visit, and other tourist information, you can read our Uxmal trip itinerary planning website . You can drive from Mahahual to Uxmal in 5 hours. While traveling from Mahahual, expect somewhat warmer days and about the same nights in Uxmal, ranging from highs of 43°C to lows of 28°C. 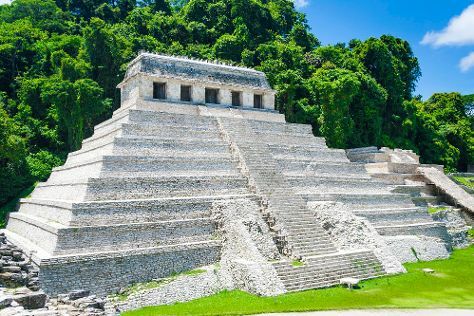 Finish your sightseeing early on the 8th (Wed) to allow enough time to travel to Palenque. Eschew the tourist crowds and head to Zona Arqueologica de Palenque and Playas de Catazaja. Satisfy your inner culture vulture at Museo de Sitio de Palenque "Alberto Ruz Lhuillier" and Iglesia Santo Domingo. There's more to do: admire the sheer force of Agua Azul Waterfalls and get to know the resident critters at Aluxes Palenque. For traveler tips, where to stay, ratings, and more tourist information, you can read our Palenque road trip tool . Traveling by car from Uxmal to Palenque takes 7 hours. Alternatively, you can fly. You'll gain 1 hour traveling from Uxmal to Palenque due to the time zone difference. Cap off your sightseeing on the 11th (Sat) early enough to travel to Oaxaca. Deepen your sense of the past at sights like Monte Alban and Santa Ana Zegache Church. Museo de las Culturas de Oaxaca and Oaxaca Textile Museum will appeal to museum buffs. You'll find plenty of places to visit near Oaxaca: Zona Arqueologica Zaachila (in Zaachila), Ex-Convento de Santo Domingo (in Ocotlan de Morelos) and Tlacolula (Capilla Del Senor De Tlacolula & Yagul). And it doesn't end there: contemplate in the serene atmosphere at Templo de Santo Domingo de Guzman, make a trip to Hierve el Agua, examine the collection at Museo Belber Jimenez, and kick back and relax at Playa La Bocana. To see where to stay, other places to visit, and more tourist information, read Oaxaca trip planner. Getting from Palenque to Oaxaca by combination of bus and flight takes about 7 hours. Other options: drive; or fly. In May, daily temperatures in Oaxaca can reach 38°C, while at night they dip to 18°C. Wrap up your sightseeing on the 17th (Fri) to allow time to travel to La Paz. Step off the beaten path and head to Balandra Beach and Fishing Charters & Tours. Get some historical perspective at La Paz Cathedral and Caktu Souvenirs. Step out of La Paz with an excursion to Balandra Beach in Los Tecolotes--about 36 minutes away. Spend the 22nd (Wed) among aquatic life with a scuba or snorkeling tour. There's lots more to do: take a memorable tour with Tours, don't miss a visit to Malecon, appreciate the history behind Dove of Peace Monument, and look for all kinds of wild species at Wildlife Areas. To find photos, reviews, and other tourist information, refer to the La Paz trip builder website . You can fly from Oaxaca to La Paz in 6 hours. Alternatively, you can do a combination of bus and ferry; or drive. You'll gain 1 hour traveling from Oaxaca to La Paz due to the time zone difference. May in La Paz sees daily highs of 40°C and lows of 20°C at night. Finish your sightseeing early on the 22nd (Wed) to allow enough time to drive to Cabo San Lucas. Let the collections at Whimsical Art Cabo and La Turquesa Jewelry and Art capture your imagination. Visit Parroquia San Jose and Church of Saint Luke for their historical value. Step out of Cabo San Lucas with an excursion to East Cape Adventures in Cabo Pulmo--about 1h 40 min away. The adventure continues: take a tour by water with Boat Tours & Water Sports, identify plant and animal life at Wildlife Areas, indulge in some personalized pampering at some of the best spas, and explore the activities along Bay of Cabo San Lucas. To see reviews, maps, more things to do, and more tourist information, use the Cabo San Lucas trip itinerary planning site . Drive from La Paz to Cabo San Lucas in 2.5 hours. Alternatively, you can take a bus. Expect slightly colder weather when traveling from La Paz in May: highs in Cabo San Lucas hover around 34°C, while lows dip to 25°C. Wrap up your sightseeing on the 28th (Tue) early enough to travel to Puerto Vallarta. Eschew the tourist crowds and head to Zona Romantica and Dolphin & Whale Watching. Satisfy your inner culture vulture at Old Vallarta and OPC Oficina de Proyectos Culturales. Change things up with a short trip to Vallarta Botanical Gardens in Cabo Corrientes (about 1 hour away). There's much more to do: kick back and relax at Nuevo Vallarta Beach, get interesting insight from Tours, indulge in some personalized pampering at some of the best spas, and whizz through the canopy at some of the top local zipline courses and adventure parks. To see traveler tips, where to stay, reviews, and other tourist information, use the Puerto Vallarta tour itinerary planner . Getting from Cabo San Lucas to Puerto Vallarta by flight takes about 6 hours. Other options: do a combination of bus and flight; or drive. You'll lose 1 hour traveling from Cabo San Lucas to Puerto Vallarta due to the time zone difference. In May, plan for daily highs up to 34°C, and evening lows to 26°C. Wrap up your sightseeing on the 3rd (Mon) to allow time to travel to Mexico City. Zona Arqueologica Teotihuacan and Metropolitan Cathedral (Catedral Metropolitana) will appeal to history buffs. Do some cultural sightseeing at Museo Nacional de Antropologia and Museo de Frida Kahlo. Next up on the itinerary: explore the ancient world of Museo del Templo Mayor, take in the architecture and atmosphere at Basilica de Santa Maria de Guadalupe, don't miss a visit to Zocalo, and view the masterpieces at Arto Otra. For photos, ratings, reviews, and other tourist information, read our Mexico City sightseeing website . You can fly from Puerto Vallarta to Mexico City in 3.5 hours. Other options are to do a combination of flight and bus; or drive. Expect little chillier temperatures when traveling from Puerto Vallarta in June; daily highs in Mexico City reach 28°C and lows reach 16°C. Wrap up your sightseeing on the 7th (Fri) early enough to travel back home.